A 1st Generation Disco Deejay / Billboard Reporter. In 1978 Joey was awarded a BILLBOARD MAGAZINE DISCO DEEJAY OF THE YEAR / Boston. The name “ Joey Carvello “ is synonymous with Disco. Joey’s influence and participation as a Deejay and his ability to pick and promote hit songs and Artists is well documented and respected worldwide! In 1974 Joey landed the Deejay residency at Yesterdays in Boston. His passion and knowledge of Disco , the music and lifestyle got him hired despite never having been a Deejay !!! His impact was immediate. Legendary remix / producer John “ TC “ Luongo, at that time still a Deejay also from Boston and known as “ The Godfather “ indentified Carvello’s potential and mentored him. Luongo’s influence helped gain Joey chart reporter status at Record World and Billboard Magazine. Joey’s charts were among the most whatched in the country. Over the next 12 years Carvello became the #1 Deejay in Boston residing at some of Boston’s most famous clubs including Celebration, Mirage, Future and Cache. Joey was the “opening act “ as a deejay for numerous acts including The Trammps, The O’Jays, Harold Melvin & The Bluenotes and The Three Degrees. Continuing to Deejay Carvello entered the Record business in 1979 as East Coast Disco Representative for WB / RFC. Carvello promoted numerous #1 Disco / Pop records over the next year including club / radio hits from Change, Gino Soccio, Prince, Rod Stewart, Doobie Brothers and Ashford & Simpson. In 1980 Joey became Music Director for the 1st 24 hour major market Disco station WXKS/ Kiss 108 / Boston. Between 1980 and 1985 Kiss 108 has been considered as the most influencial and #1 “ Top 40 “ radio station in the world . Carvello’s duties as Music Director was in part to review music and bring the songs he thought had hit potential to then Program Director Sunny Joe White. Joey was the “ gate keeper “ and his nod could make a new artists career. Among the artists that Kiss 108 broke by being the 1st to play includes Culture Club, Thompson Twins, ABC, Men At Work and Janet Jackson . In 1989 exploded onto the New York scene when Atlantic Records CEO Doug Morris engaged Joey as his Director of Dance Music. During Joey’s time at Atlantic , 1989 – 1993 , he dominated the Billboard Disco / Dance Charts topping the charts over 15 times . Carvello signed , Executive Produced and promotion credit includes Little Louie / Marc Anthony ( Masters At Work ), Robin S. , Bingoboys, En Vogue, Doug Lazy, Jomanda, Steve “ Silk “ Hurley and Jellybean Benitez . While at Atlantic Joey met briefly worked with cultivated a friendship with fellow Bostonian Donna Summer and her husband Bruce Sudano ( Brooklyn Dreams ). In 1993 Carvello brought the Big Beat label along with current Atlantic Group CEO Craig Kallman to Atlantic Records. Joey joined Priority Records as VP Top 40 Promotion where he worked with and elevated radio airplay for several artists including Snoop Dogg and Ice Cube. Carvello joined TVT Records in 2000 where he elevated to Sr VP of Promotion. Carvello is directly responsible for introducing and giving quantum career leaps to Lil Jon, Pitbull and The Ying Yang Twins. While at TVT Joey began spinning vinyl again by guest deejaying at Glass / NYC. In 2002 Carvello shared the booth at The Coffee Shop / with the legendary Kool DJ Red Alert. In 2011 Carvello was approach by NYC Deejay / Producer Operator EMZ to Co Resident for Mobile Mondays!, NYC’s all 45’s vinyl night. Carvello has developed an impressive following over the past 4 years as MM’s “Disco Deejay” with focus on Disco Classics, 80s / mid 90s Dance / House. 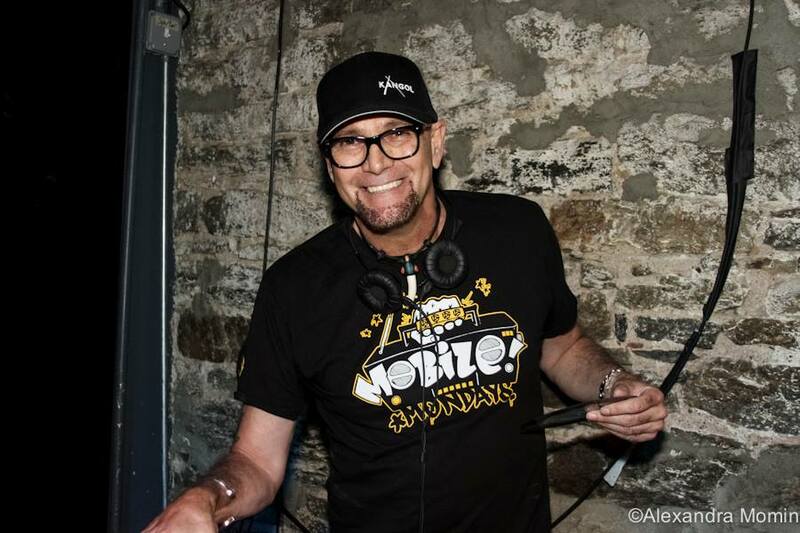 Carvello had his NYC “ break thru “ night in 2013, while deejaying at the Mobile Mondays! Salsoul Christmas Jollies, he pulled together a set which brought several Salsoul Artists in attendance, Joe Bataan, Carol Williams, Skky, Instant Funk and Double Exposure, to the stage for impromptu performanes. It was an epic event and truly defined Joey’s role and credibility as the Disco Deejay Of The Year! Carvello has garnered guest spots in and around NYC, Miami and Boston. He has played at Output, Brooklyn Bowl & MM Summerstage & Lincoln Center concerts. Mobile Mondays! influence and popularity as the “ coolest music spot “ in NYC has spawned an incredible “ vinyl only “ trend coast to coast . And Joey Carvello is once again on the ground floor and a popular participant the Disco / Funk / Soul dance comeback !!! i hear there will be a vinyl mania party happening soon?